Please scroll through the entire page, to see all events and links to our photos. There was a new annual classic car meeting at Gut Bissenmoor Golf Club (not far from Hamburg) from 10am to 4pm, on the 31st, the second meeting. See our Classic British Cars Facebook page for the events list and a selection of images. Further events, below. Our classic car is in for repairs and a new MOT. We have a full diary this month, with another visit to Denmark planned and tours on every weekend. Here is a selection of many car clubs, who are are also invited to join our Facebook pages. 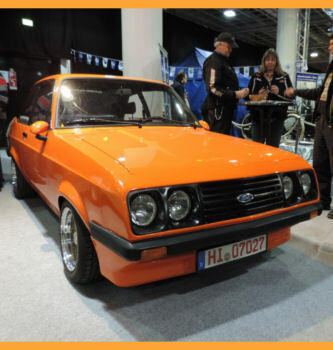 We intend to visit the Classic Car and Retro Show in Denmark, in April, in Fredericia - please scroll down. Stevie's Garage in Eutin, is part of a British Car tour organised by the MG Freunde Hamburg on the Saturday, of the Easter weekend. If you wish to join the tour, to and further on from Eutin, please contact us. The garage has an annual open day, with barbeque. Anyone with a Classic British Car can join us, if registered in advance. April is usually full of events. Updates later. Date and location to be confirmed, but should be: Sunday, 25th October 2020 at 10am. Tour starts near Hamburg, at 11am, with route list. One reads the list and the other drives. We will try and be there! 2020 news and photo reports will appear when available. See our featured events for links to photos, as well. Most updates, can be found on our Facebook pages. Techno Classica Essen 2019 - April in Germany (Facebook). Please send us your events. From AUS to DE and UK, on to France, Denmark, Sweden and any other country. Classic cars and vehicles, with four wheels and more. MG Rover Freunde will be meeting this month, not too far from Hamburg. The Rendsburg based clubs will be meeting for a tour on the long Easter weekend, so will the MG Freunde Hamburg, in Eutin etc. Part of the MG tour will be a visit to the Stevie's Garage (Eutin) open day, on the Easter weekend. BILLMESSE & Brugtmarked | We hope to be in Denmark again in April and/or October. The Retro Show takes place in Frederecia. https://www.bilmesse-brugtmarked.dk/. The highlight in October 2018, was the only car ever made by the Danes. Only one was made and after years of trying, the car has eventually been taken out of an attic and can now be seen. Reportedly, it was for sale. Britisk Motor Show 2018 - The second event, in Denmark. We were there, for the first time and will there again on, 5th, 6th and 7th June 2020. It was a great event, in 2018 and we were made very welcome. Facebook images: Album 1 / Album 2. We have already started planning for the 2020 event and we are looking at a meeting in Hamburg, Germany, before we all set off to visit the event, with up to 20 classic British cars. We might split the journey in two, by stopping overnight in Middelfart/Frederecia, Denmark and could meet some people in Flensburg. The direct route to the event, looks like this > click here. An excellent event and a great early start to the classic car season. There are usually many British vehicles and a number of British traders present. Thanks to the press department, for their assistance and for the well prepared press pack in English and German. Photos, on our Facebook page. We spoke to a few British traders, who could be prepared to bring parts with them, if you require any. 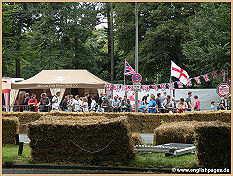 One of many good reasons to visit the event - see the traders list, on the website. MG Hamburg. Most British classics are welcome at the monthly meeting. The first Monday in the month, at the Museum der Arbeit, Hamburg. Join us! Their website is currently down, until new data protections issues have been sorted out. Questions can be passed on. www.mg-freunde-hamburg.de. We are usually there from 18:00 hrs. Regular tours are announced at the meeting. www.british-cars.de meets every third Tuesday of the month in Hemming Way bar & restaurant, in Hamburg. We are usually there from 18:00 hrs. During the warmer months, we meet for tours on the last Sunday, of each month. The annual Stadtpark Revival - Set up: Friday, only for stand holders, before the event. See website for dates. Bring ear protectors, especially for children. DO NOT bring children without ear protectors! BRITISH-CARS.DE Hamburg meeting, 3rd Tuesday in month - Hemming Way Restaurant, Hamburg.